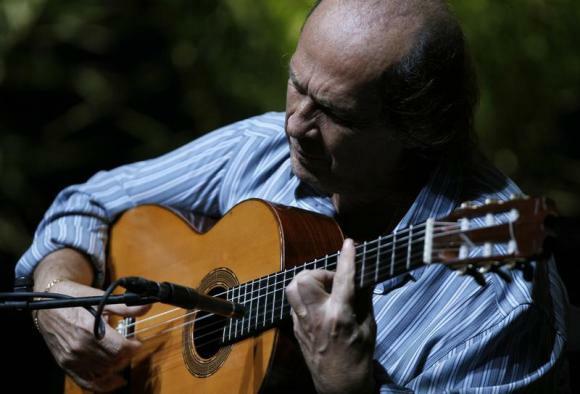 (Reuters) – Paco de Lucia, the influential Spanish guitarist who vastly expanded the international audience for flamenco and merged it with other musical styles, died suddenly on Wednesday of a heart attack in Mexico. “I learned the guitar like a child learns to speak,” the guitarist said in a 2012 documentary. Born Francisco Sanchez Gomez, he became famous in the 1970s after recording bestselling album “Entre Dos Aguas”, becoming the first flamenco musician to perform at Madrid’s opera house Teatro Real in 1975. Paco’s albums such as “El Duende Flamenco de Paco de Lucia” and “Almoraima” reinvented traditional flamenco. “It has been said, and rightly so, that Paco de Lucia has never been surpassed by anyone and guitar playing today would not be understood without his revolutionary figure,” Spain’s arts association SGAE said in a statement. He was highly acclaimed after playing Joaquin de Rodrigo’s “Concierto de Aranjuez” at London’s Festival Hall in 1991, attended by the composer himself, and considered one of the best interpretations of the piece. De Lucia memorised the piece by ear as he did not read music, and gave it a distinctive flamenco flavor. “With the guitar I’ve suffered a great deal, but when I’ve had a good time, the suffering seemed worthwhile,” he said in the documentary. He also formed a partnership in the 1970s with singer Camaron de la Isla which played a large part in creating the New Flamenco movement. A spokesman for the city hall in Algeciras, where de Lucia was born, confirmed his death and said the city had decreed two days of official mourning.